KNM have been retrace down 60.3%. 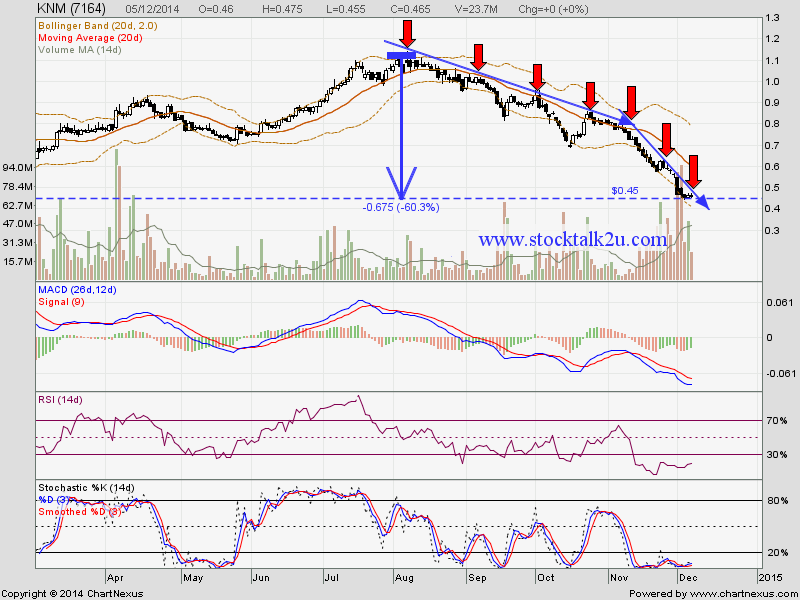 Will it rebound @ RM0.45 support level ? Stochastic %K on oversold stage, pending trigger BUY call. Subsequent suport @ RM0.425 level. Immediate resistance @ RM0.52 level. Subsequent resistance @ RM0.57 level. From technical view, KNM is forming lower low & lower high, market sentiment is bearish. NO bullish reversal been form yet. Let's watch closely for rebound opportunity.